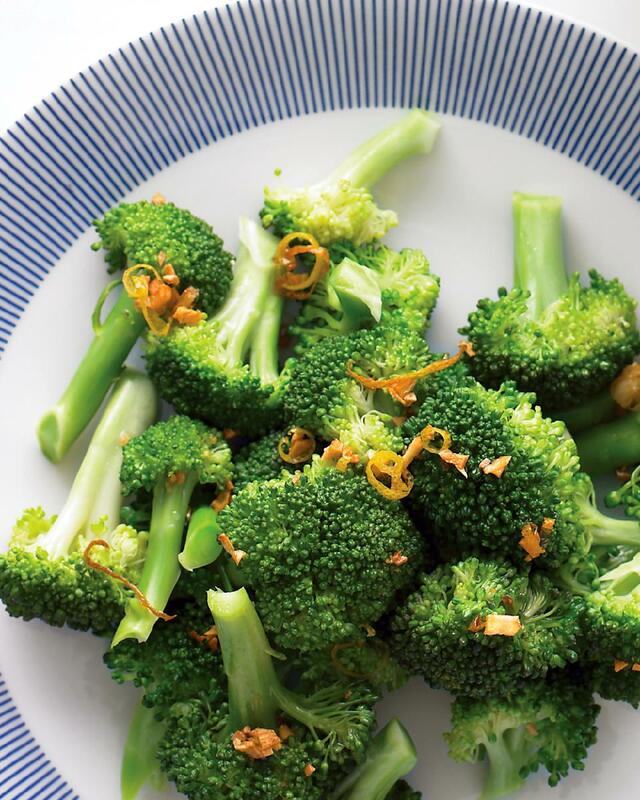 This is an easy broccoli recipe, topped with golden crispy garlic pieces. I like it with or without the lemon zest. Be sure not to overcook the broccoli - you want it to be crisp-tender. No one likes soggy broccoli. Dovetailing tip: Prepare the broccoli for Meal 3, Broccoli Cheese Soup. Buy 2 pounds of broccoli and chop 1/2 pound into bite size pieces. Save this amount for the soup. Place a steamer basket in a saucepan filled with 1 inch water. Bring to a gentle boil. Add broccoli. Cover, and cook until crisp-tender, 4 to 6 minutes. Transfer to a serving bowl. In a small saucepan, heat oil over medium-high. Add garlic and lemon zest; season with salt and pepper. Cook until garlic is golden, 1 to 3 minutes. Immediately remove from heat, and drizzle over broccoli.